Hello this is Abbey Floor Care and we are near Ashbourne, Derbyshire restoring a travertine tile floor. We restored the floor just over four years ago, however the areas by the kitchen units have had heavy wear causing the surface sealer to wear away. 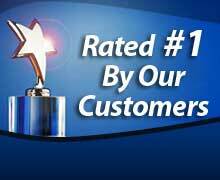 So our client called on us for for our cleaning and Travertine Sealing services. The wear had also caused the surface to lose its smooth finish. We started by installing protective plastic sheeting on the floor from the entrance to the job to protect it from soiling as we went to and from the work area. We then installed protective sheeting to the walls, adjoining rooms and kitchen units to protect them from splashes and spills from the work area. We started by deep cleaning the floor using rotary cleaning machines, 800 grit honing powder and cleaning chemicals. The 800 grit honing powder was abrasive enough to work dirt out of tiles and grout lines without damaging the surface of the tiles. Once the floor had been carefully rinsed we hard honed the floor starting at 100 grit, up to 800 grit. Before we re-sealed the floor we filled any holes with a colour matched grout. Once the grout had hardened, we cleaned the surface and applied six coats of water based natural stone surface sealer. This gave the floor a beautiful sheeen, matching the rest of the floor.. 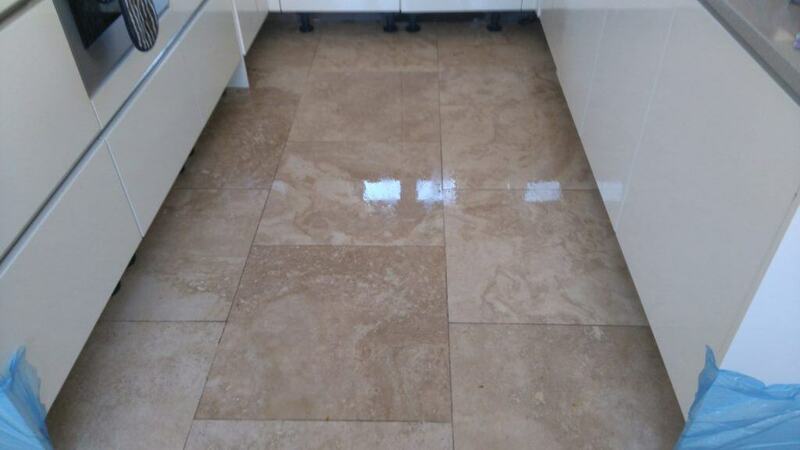 If you are looking for Travertine Cleaning and Travertine Sealing Ashbourne or any other kind of stone floor restoring to a beautiful finish call Abey on 0800 695 0180 or complete our simple contact form.